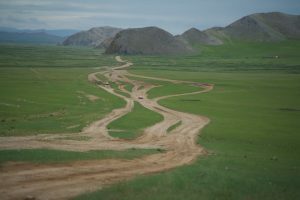 Leaving the camp site at Bulgan we now head to Murun and another night under canvas. 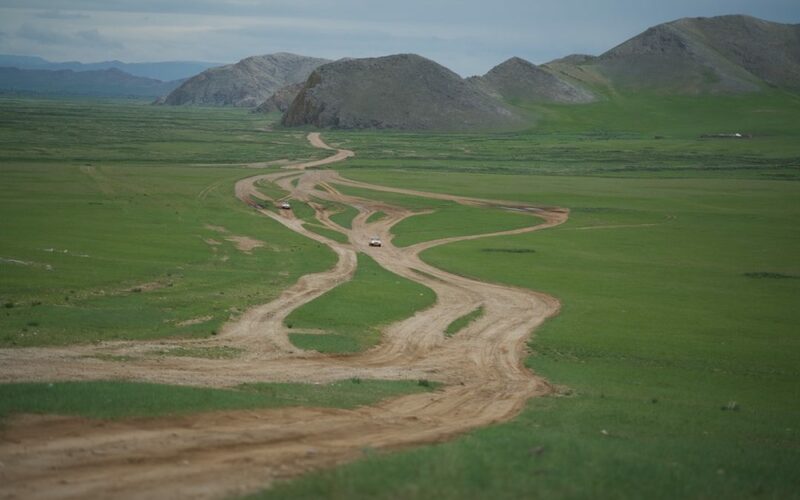 As we head deeper into Northern Mongolia there are many times the choice of track is a bit of a lottery. It’s often the case that on one of the other tracks ‘the grass looks greener’ i.e. the surface looks smoother so we do flit from side to side to try to find the easiest route through. There are some very fast stretches and the sand is fun as the back of the Jag fishtails – as I have mentioned we are too low to follow the ruts of the track so we end up with one wheel on the centre and one on the outside edge which on sand causes the ‘centre’ wheel to slide off.